The Emmys aren’t always known for rewarding new talent, sticking to old favourites above all else and while, yes, Julia Louis-Dreyfus still won for Veep, there were some newcomers who received much-deserved awards. 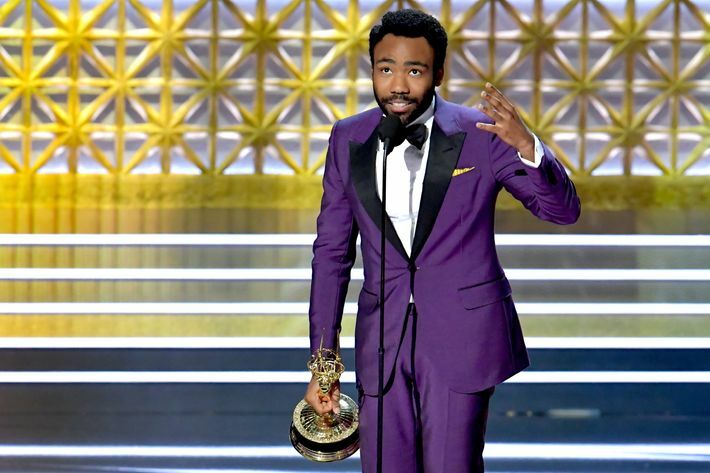 Donald Glover winning for his acting and directing work in Atlanta and the many awards won by female-fronted dramas Big Little Lies and The Handmaid’s Tale were all signs of a change of tide. There were a number of records achieved tonight, including Lena Waithe as the first black woman to ever win an Emmy for comedy writing. It was bad news for Westworld and Stranger Things, the shows failing to pick up a single award between them while The Crown and This Is Us only managed to win one trophy apiece. See the full list of nominees, with winners in bold, below, and you can catch Stephen Colbert’s full opening monologue here.